As president of PE Gastro Management, one of the activities I find most valuable is the opportunity to spend time with other thought leaders in the GI community. 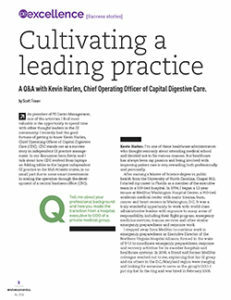 I recently had the good fortune of getting to know Kevin Harlen, Chief Operating Officer of Capital Digestive Care (CDC). 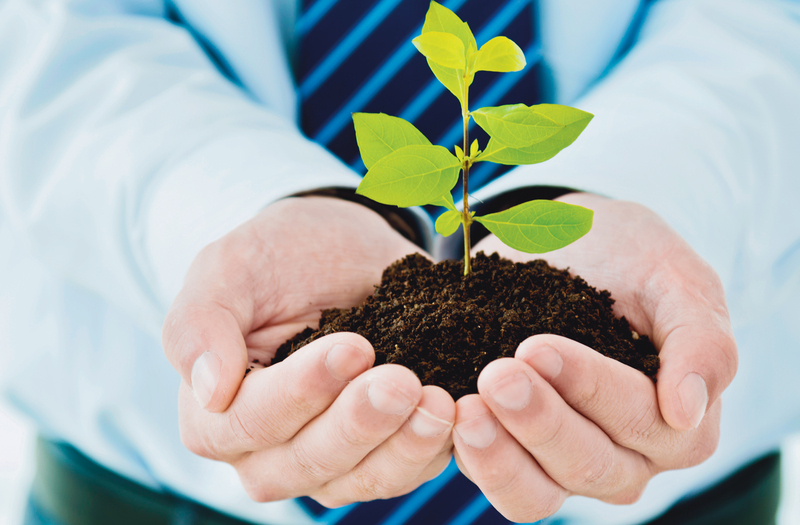 CDC stands out as a success story in independent GI practice management. In our discussion here, Kevin and I talk about how CDC evolved from laptops on folding tables to the largest independent GI practice in the Mid-Atlantic states, in no small part due to some smart investments in scaling the operation through the development of a central business office (CBO). Q: Tell me about your professional background and how you made the transition from a hospital executive to COO of a private medical group. Kevin Harlen: I'm one of these healthcare administrators who thought seriously about attending medical school and decided not to for various reasons. But healthcare has always been my passion and being involved with improving patient care is very rewarding, both professionally and personally. After earning a Master of Science degree in public health from the University of North Carolina, Chapel Hill, I started my career in Florida as a member of the executive team in a 500-bed hospital. In 1994, I began a 12-year tenure at MedStar Washington Hospital Center, a 900-bed academic medical center with major trauma, burn, cancer and heart centers in Washington, D.C. It was a truly wonderful opportunity to work with world-class administrative leaders with exposure to many areas of responsibility, including their flight program, emergency medicine services, trauma services and other similar emergency preparedness and response work. I stepped away from MedStar to continue work in emergency preparedness as Executive Director of the Northern Virginia Hospital Alliance, formed in the wake of 9/11 to coordinate emergency preparedness, response and recovery activities for its member hospitals and healthcare systems. In 2008, a friend and former MedStar colleague reached out to me, explaining that his GI group and six others in the D.C./Maryland region were merging and looking for someone to serve as the group's COO. I put my hat in the ring and was hired in February 2008. Q: What are the key facts and figures about CDC? KH: Our focus is on quality, expertise and accessibility. That is not marketing lip service; it is something we all feel very strongly about and around which have built a culture. These qualities are reflected in our size and in the scope and diversity of our clinical and administrative services. Size matters when you are talking about covering a large geographic area. When the practices merged, we had about 50 physicians and 14 clinical offices. We now stand at 65 physicians and 17 clinical offices, making us the largest independent GI group in the mid-Atlantic and Northeast and the fifth or sixth largest in the country. We see more than 75,000 patients annually-a number that has grown over time, in part due to our increasing number of physicians but also patients searching us out. We cover the spectrum of digestive health services, including GI and liver disease as well as infusion therapy, clinical laboratory services and pathology. CDC is increasingly the go-to group from a basic consumer standpoint, a fact in which we take tremendous pride.